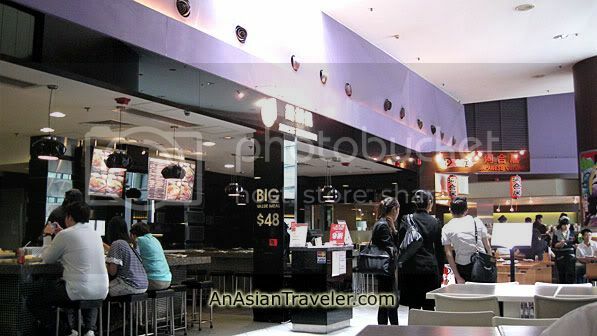 Another place worth going to in Hong Kong is of course Citygate Outlet. 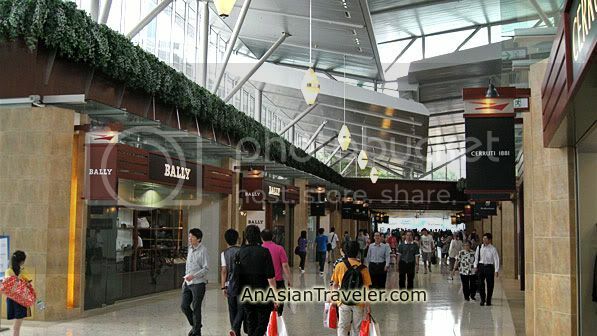 This swanky shopping mall offers international outlet brands and comprises five storeys, two of which are basement levels. We went on a hunt to see what this place had to offer. Every outlet stores has big glass windows with their merchandise displayed offering an assortment of new and off-season goods. But sadly, there wasn't any amazing deals for us. We did a quick browse on some stores like Esprit Outlet, Calvin Klein Jeans, Burberry, Samsonite, A/X Armani Exchange and Puma. At Adidas Factory outlet, HB tried some shirts but they only had few sizes available. .
We also went in and looked around at Polo Ralph Lauren Factory Store. Although their selection wasn't vast, but they had wonderful pieces mostly for men. 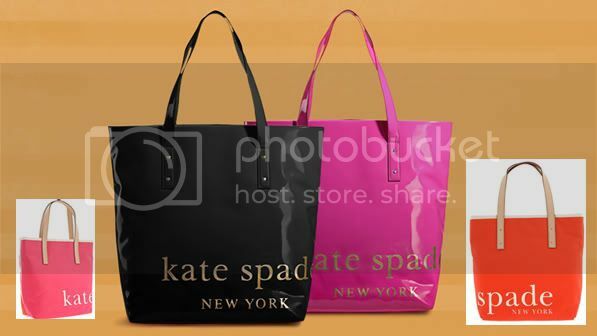 I did see a beautiful tote bag daintily displayed at the front of Kate Spade store. I loved the design and the print on it but didn't feel like dropping HK$1,000+ for a small tote bag. I was so frustrated that I couldn't find a bigger one. Here you'll also find Coach, Diane von Furstenberg, Bally, Cerruti 1881, Mango, Vivienne Tam, Escada, Guess, Crocs, Max Mara, Levi's, Nike, Swatch, The Body Shop, and many other fashion and accessories stores. 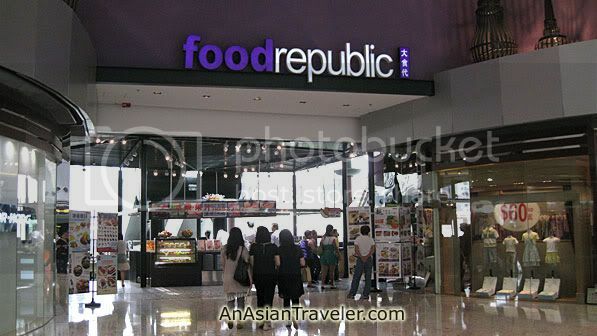 After a few hours of window shopping, we foraged around for a good meal at Food Republic. 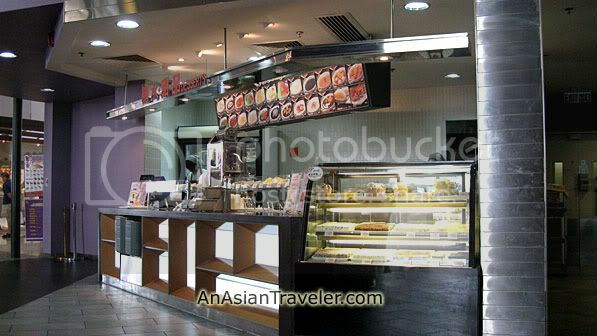 Most of us probably know this is a self-served dining food court chain from Singapore. Seating is ample in an airy space. I had a hard time choosing what to eat since there were only few Asian/Oriental entrees to choose from. I liked the appetizing food at Vietnam Cuisine served in huge portions. But I completely was shunning eating a large meal. 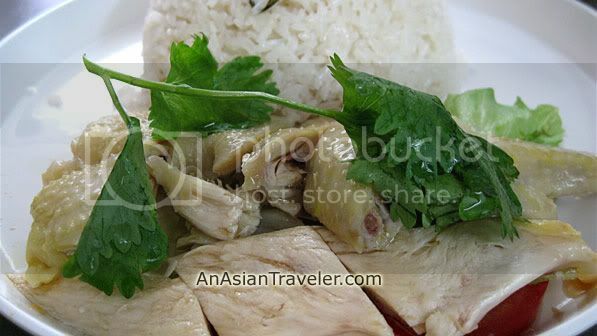 So, I just stuffed myself with Hainanese Chicken rice. 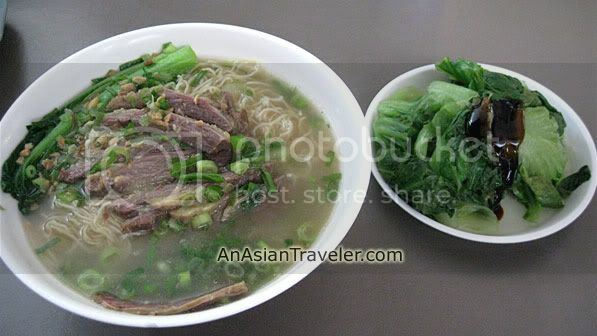 HB opted for beef noodles and veggie. I wanted to have ice dessert but my stomach was saying "stop, I'm full". 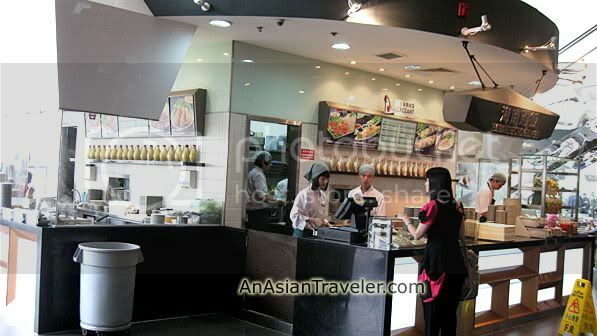 You can also find Xpress Teppanyaki mini restaurant and Japanese Cuisine stall here. 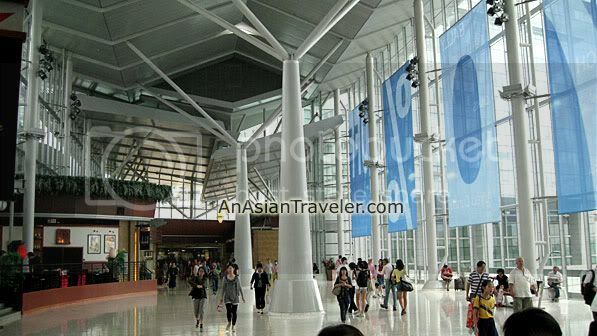 Citygate Outlet is located at the heart of Tung Chung, directly adjacent to MTR Tung Chung Station. Citygate outlets entrance is right at the Exit C. The mall is also home to a six-screen Cineplex, 16 dining facilities, and a 440-room Novotel Citygate Hong Kong. Store hours: 10am- 10pm. Citygate Outlet is worth seeking out if you're looking for branded goods. Just don't expect outrageous savings. In addition, often odd sizes are available only. As for us, we left the shopping mall empty handed. Hopefully, next time we'll manage to snag a few good deals. wow,that's nice but i didn't go there when i was in HK. I agree with you June. I went there on my last HK trip and I was just disappointed. It's a nice place to stroll around and just check out the various shops. No big discounts though. Yeah, I thought it was for bargain hunters just like me. Hopefully they'll lower the prices. we really enjoyed it here.. we bought a laptop there.. we get if for about 21000 in philippine peso.. compared to other stalls w/c sells the same brnd and sells it for 35000... huge price!! !